Thanks Ju Ann for inviting me to this event. I got to know alot of beauty bloggers. Tiffany, June, Irene, Chantana (just to name a few) I also bumped into Clara. She knew that I was alone and she came to sit beside me - so very kind of her. 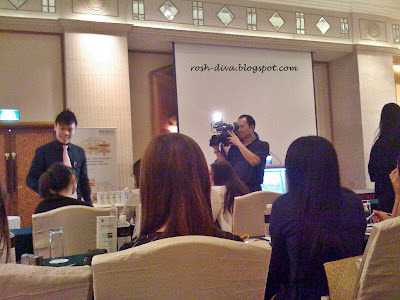 This is a workshop by Doctor Mark from Singapore National Skin Centre and Eugene from Physiogel. 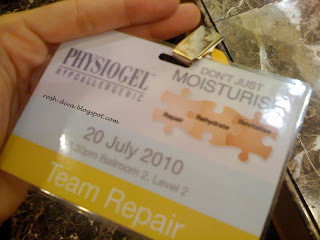 I learnt about the skin lipid barrier, what is the ideal moisturiser and some tips for dry skin sufferers. 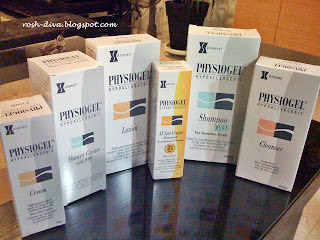 The best sellers are the lotion (S$22.90) and the cream (richer texture than the lotion). I just checked that most Watsons & Guardians are selling these two. I am excited that among the products, there is a sunscreen. I'm very particular about sunscreen and the first thing I used (among all the goodies) is their Al Sun Cream SPF 25. 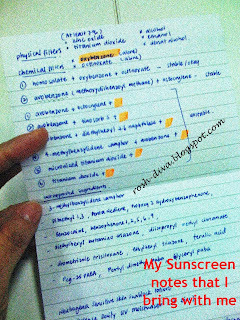 I made my own notes and know which are the bad sunscreen ingredients and which are not photostable. Yes, I am THAT particular. The wordings on the box that caught my attention are 'Tinosorb', 'SPF 25' and 'PA+++'. I also checked out their ingredients against my 'NO' list. These are the AI Sun Cream ingredients: Aqua, Alkyl Benzoate, Glycerin, Titanium Dioxide, Pentylene Glycol, Tri-C12-13 Alkyl Citrate, Bis-Ethylhexyloxyphenol, Methoxyphenyl Triazine (Tinosorb), Caproc Triglyceride, Acrylates Copolymer, Hydrogenated Lecithin, Palmitamide, Aluminium Stearate, Polyhydroxystearic Acid, Butyrospermum Parkii, Hydroxyethylcellulose, Alumina, Betaine, Acetamide, Squalane, Xanthan Gum, Sarcosine. The cream is kinda thick and it doesn't blend easily. I got to spend extra few seconds to rub the cream into my skin. Surprisingly, it is not greasy. In fact, it gives a matte feel compared to Avene's and Heliogel's sunscreen. However, by noon time, my skin looks oily and I have to blot away the greasiness. 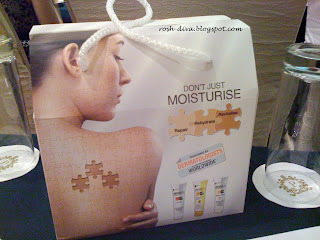 Overall, I liked the fact that it is hypoallergenic, non-comedogenic and is water resistant. It also doesn't leave a white film like Avene's. It's a pity that they don't have a much higher SPF. You can get a travel size pack free of charge too. Just go to their website and click on 'Moisturise A Friend'. Then, submit your particulars at their website to receive an exclusive and complimentary PHYSIOGEL Travel pack while stocks last. dunno wat wrong with the facebook....u can try to add me at vialentino@gmail.com ... hahaha...else i can add u.
btw, saw u tried the bungy jumping ... gosh, u r so daring .... how was the experience? heart fell down immediately?